The Dodd-Frank Act requires the SEC whistleblower program to make an annual report to Congress on the status of the initiative. 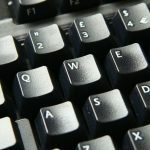 As the government’s fiscal year ends in September, the report concerning the previous year is typically finalized by early November. The SEC released its first annual report in November 2011. It covered the adoption of the rules by the SEC, the establishment of the Office of the Whistleblower and the handling of the initial tips by the SEC staff. The report also covered the first seven weeks of tip data because the final rules for the program went into effect in August 2011. 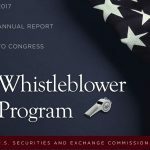 The report is available at https://www.sec.gov/about/offices/owb/whistleblower-annual-report-2011.pdf. The SEC received 3,001 TCRs in the first full year of the initiative and made its first award under the whistleblower program. The report is available at https://www.sec.gov/about/offices/owb/annual-report-2012.pdf. The SEC received over 3,200 tips concerning possible violations of federal securities laws this year and announced three more awards, including its largest reward (to this point) of $14 million. The report is available at https://www.sec.gov/about/offices/owb/annual-report-2013.pdf. The SEC received 3,600 tips this year. The SEC settled its first enforcement action that included a charge under its anti-retaliation authority. The government also took its first action to curb frivolous claims for an award by an individual that sought an award in connection with more than 100 Notices of Covered Action. The report is available at https://www.sec.gov/about/offices/owb/annual-report-2014.pdf. For additional information about the operation of the program, please visit our page concerning the SEC whistleblower program.